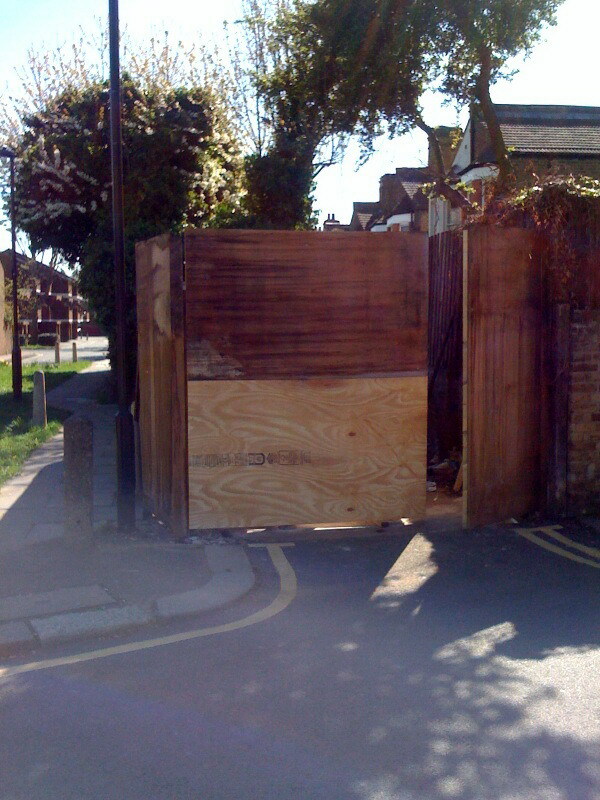 I was in the neighbourhood this morning and discovered this new “structure” in Langham Place – we ended up speaking to the owner who told us that he has installed the temporary fence so that he could continue his garden wall around the edge of the property. When he has previously tried to do this he would be hampered by the fact people would park illegally in the space. Therefore, we were assured that it is only temporary and will be replaced by an attractive brick wall shortly. Having met a Graham Road resident, it would seem that the man doing the work is not the owner of the land. May be planning permission intent needs to be investigated?